I am back with another post. The temperature here in Mumbai is on a constant rise. 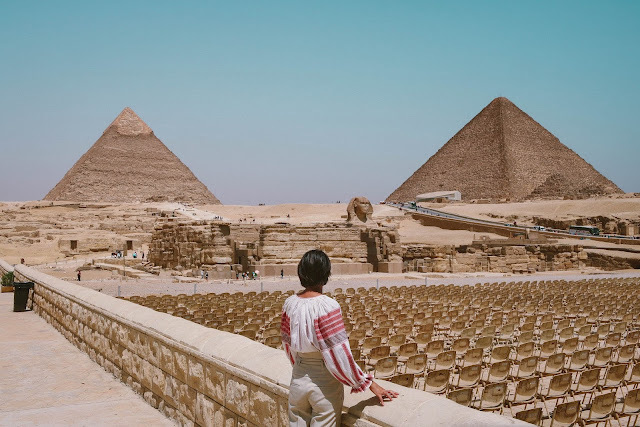 I have been traveling a lot for the past few days all around Mumbai in this scourging heat and sun and have been quite tanned. Easter is just around the corner and I am looking to get rid of this tan and dark spots caused by the sun. The timing couldn't be perfect. 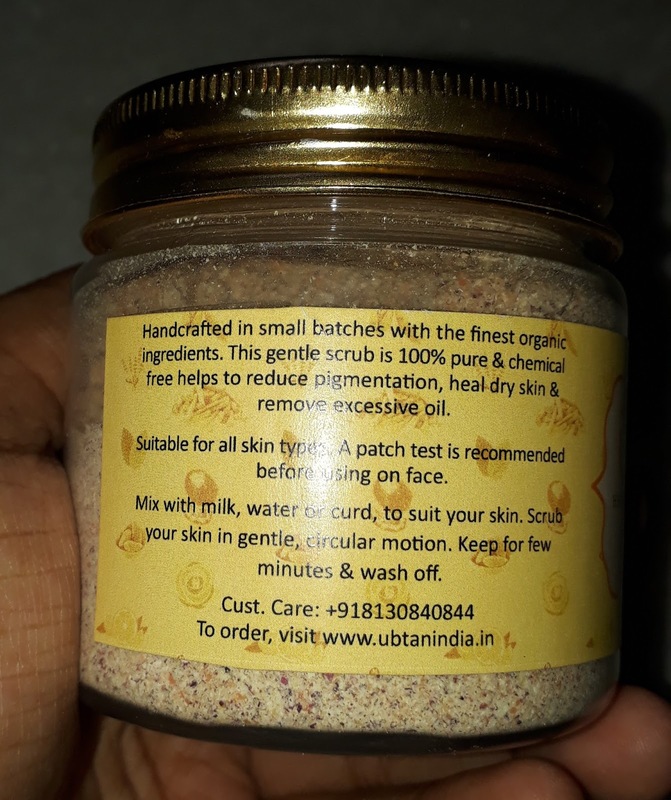 I came across a website that deals with Rejuvenating UBTAN products. I was really amazed by the wonderful beauty products on their website. The brand’s mantra is to deliver handcrafted, pure & chemical free products with stringent quality control and constant research for improvement. 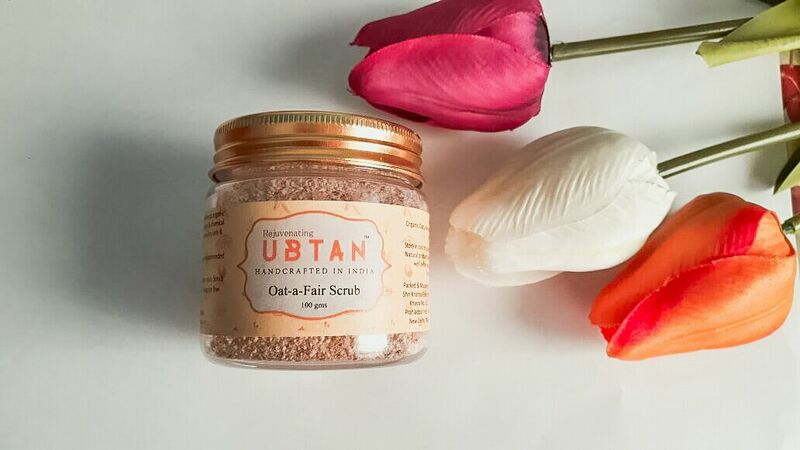 Today I will be sharing a review of one such ubtan face scrub from Ubtan India, Handcrafted in India. 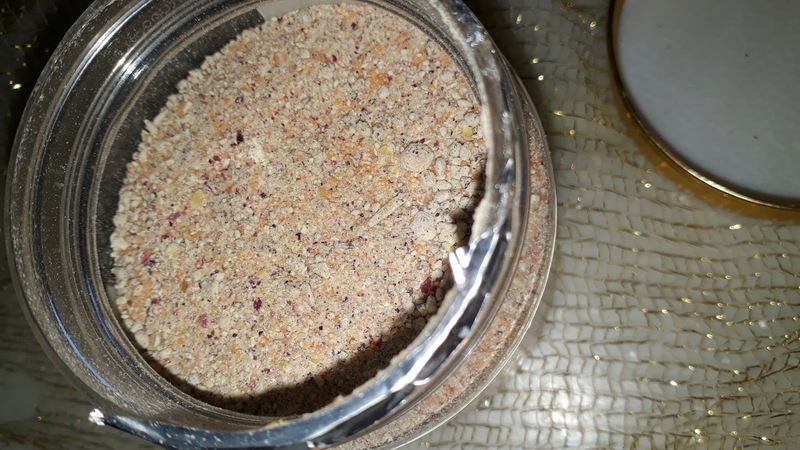 For those of you who aren't aware, UBTAN is a powdered mix of Ayurvedic herbs and natural ingredients. It is completely natural and 100% organic. 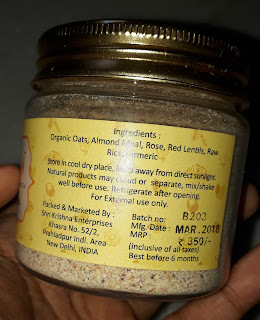 Mix with milk, water or curd and massage your face. Wash off your face with water. The product comes in a transparent plastic jar with golden screw lid. There was a thick plastic wrapped around the product. There was a beautiful yellow label on the jar that included the product ingredients and description on how to use it. Personally, I am a huge fan of products that are ayurvedic and are made of natural ingredients. 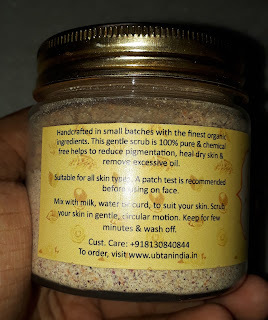 I have come across and used various UBTAN products in the past but they have all been face packs. Never have I ever come across a UBTAN face scrub. I was quite impressed. On the homepage, I had three face scrub options. I chose Oats Scrub because I had heard a lot of positive feedback about it. 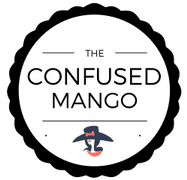 The website is quite simple and easy to navigate. They provide a complete description of all the products so that the consumer can make an informed decision. The shipping is free across India and cash on delivery option is made available. The product was delivered on time and was neatly packed. For the first two days, I used the water and face scrub mixture. I realized that in order to get a proper consistency, a lot of powder was required. For the next days, I mixed the UBTAN powder with milk. I preferred the milk mixture as only a little powder was required and the consistency was really good. I rinsed my face with warm water before scrubbing it with the UBTAN face scrub. I washed it off again with lukewarm water and then with cold water. I found really wonderful results after use. My skin felt softer and smoother immediately after first use itself. There was a slight glow on my face. Since it is a natural product, I used it every day. I noticed the tiny spots on my face disappearing after a couple of uses. The product wonderfully exfoliates the skin and clears all the dirt and pollutants. It is the best scrub to use at the end of the day. The exfoliation also helped to polish my skin and clear the tiny blackheads especially around my nose. I didn't experience any side effects of the product yet. Though I found the price of the product quite reasonable for the quantity, some of the consumers may feel otherwise. I am also not a big fan of the fragrance. It has a very earthy smell which some may find relaxing. I would surely rate this product a 9/10. 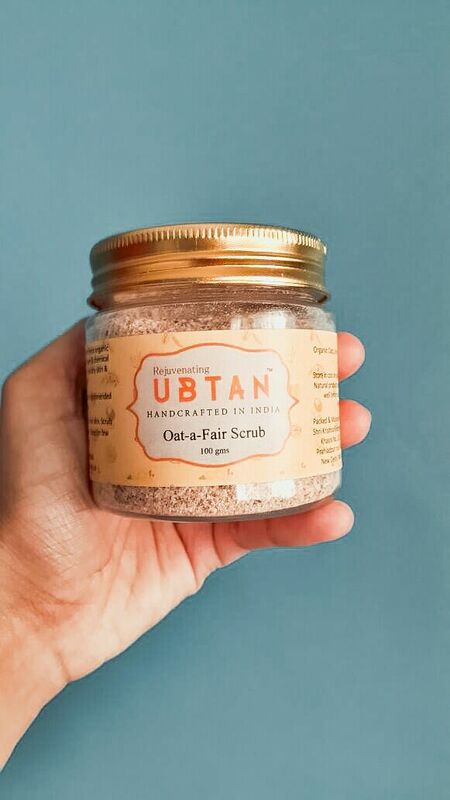 Personally, I enjoyed using this product and based on my experience I will surely recommend the UBTAN scrub. 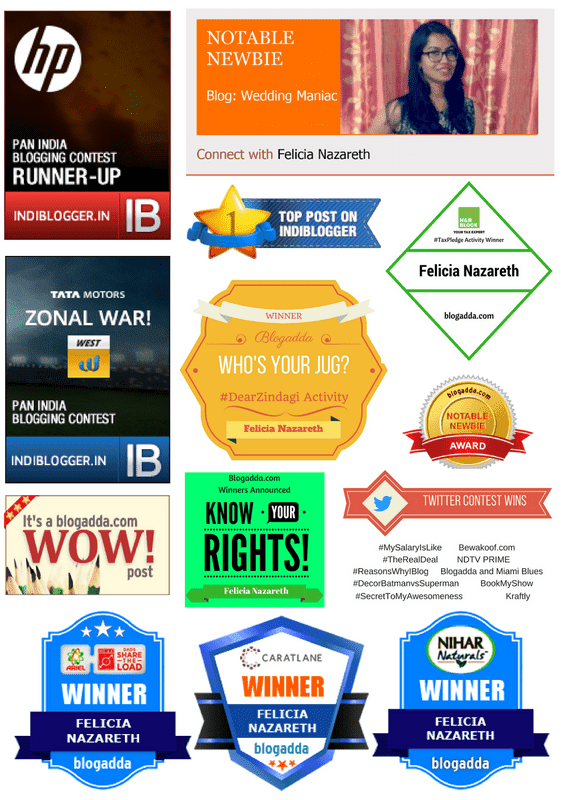 I have a special discount coupon code for all my readers - "BLOG15" - 15% discount on shopping above 799, with free shipping across India. Liked this post? Share your feedback in the comments section. 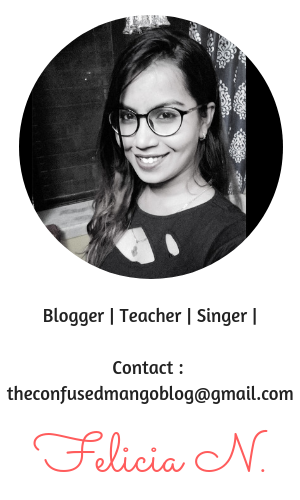 Do subscribe to my blog to stay updated with some amazing content. Also, support me and show some love on Facebook, Instagram, Twitter, and Youtube.